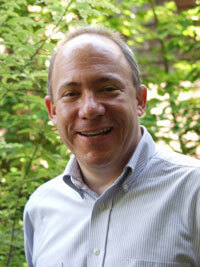 Larry A. Rosenthal, JD PhD (vitae) serves as Executive Director of the Berkeley Program on Housing and Urban Policy, and Assistant Adjunct Professor at the Goldman School of Public Policy, at UC Berkeley. He is coeditor, with John Quigley, of Risking Housing and Home: Disasters, Cities, Public Policy (Berkeley Public Policy Press, 2008), a collection of symposium papers commemorating the centennial of the 1906 San Francisco earthquake and fire. Earlier he coauthored, with David Kirp and John Dwyer, Our Town: Race, Housing and the Soul of Suburbia (Rutgers University Press, 1995), an award-winning social, legal and policy narrative of the historic Mt. Laurel housing rights cases in New Jersey, and he has also written a variety of articles, book chapters, and research reports. Rosenthal's research has addressed land use and regulatory barriers, rental subsidy, housing affordability, effects of prevailing wage legislation on low-income housing development, effects of construction-defect litigation on the supply of condominium and attached housing, and the efficacy of various methodologies in estimating the homeless population. Originally trained as an attorney, Rosenthal served as law clerk to the late Justice Marcus M. Kaufman at the Supreme Court of California and was Governor George Deukmejian's appointee to California's Dispute Resolution Advisory Council. He later was associate at the San Francisco law firm of Hanson, Bridgett et al., and acted as statistical consultant to the United States District Court for the Northern District of California in its implementation of the Civil Justice Reform Act. He also served as policy analyst for the National Park Service's Presidio Transition Team, studying redeployment of the Presidio's housing stock. He has served as consultant to a variety of public and nonprofit bodies regarding housing development and related topics. Rosenthal holds doctoral and masters degrees in public policy from UC Berkeley, a law degree from the University of Wisconsin-Madison, and an AB from Oberlin College.